In most states in the U.S. employment is considered “at will.” This means that employment is both voluntary and indefinite for both the employer and the employee. Because employment is considered “at will,” employers have the right to discharge or terminate an individual's employment at anytime without just cause. In the same way, employees have the right to resign from or quit their job without just cause as well. However, employers may not illegally terminate an individual's employment. A wrongful termination occurs when an employer violated state laws, public policy, or constitutional provisions when discharging and employee. A wrongful termination may also occur when employers breach legal principles or other concepts related to the discharged individual's employmen Employees that believe they have been wrongfully terminated will need the legal expertise of wrongful termination attorneys. Are you the victim of wrongful termination in the workplace? If so, contact a wrongful termination attorney in your area immediately to take legal action against your former employer. If an employer terminates an individual's employment because the individual refused to violate public policy, this may be considered a wrongful termination. If an individual is discharged under the disguise of a false statement of fact or because of jury duty, their termination could be wrongful. As one can clearly see, wrongful termination can result from a number of serious violations and breaches. It is highly recommended that employees that have been the victim of wrongful termination contact wrongful termination lawyers for legal aid. Employees that have been terminated for whistleblowing will require the assistance of attorneys at distinguished and reputable wrongful termination law firms. Proving wrongful termination against a former employer can sometimes be difficult because of the fact that employment is considered “at will.” Generally, it takes the assistance of experienced and knowledgeable a wrongful termination attorney to prove that an unlawful termination occurred. It is crucial for those that believe they have been the victim of wrongful termination to contact an attorney immediately. The statute of limitations regarding wrongful termination cases is quite short; therefore, claims need to be filed as soon as possible. Do you believe you were wrongfully terminated from your job? If so, you may have a legal case against your employer. 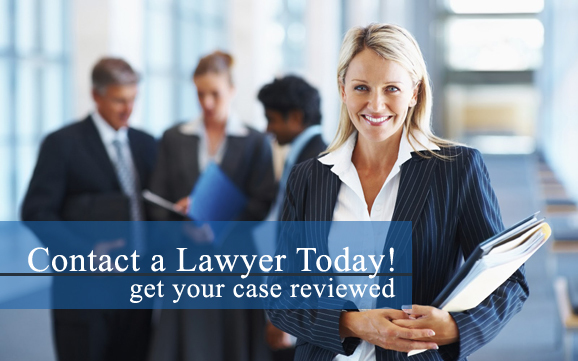 Contact a wrongful termination attorney in your area to discuss your legal options today.